SpeakBindas is a Limca Book of Awards winning blog. It’s a PR3 blog with 1000+ articles & Interviews. 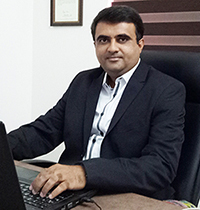 Devang Vibhakar – Founder – has interviewed more than 350+ people and has been to Scotland, London & Germany. He’s a writer, speaker, traveler & movie-goer !! He has also written four books. He’s passionate about bringing forth interesting stories & interviews of people from various sectors of life to avid readers of SpeakBindas. You can reach him here .